i heart napa: donate | your halloween candy. donate | your halloween candy. We have so much Halloween candy left over at our house it is wrong. When I woke up this morning and found my husband's empty wrappers left over from his late night snacking (see above image) and then consumed about 4 Kit Kats myself (for the 5th day in a row), I knew it all had to go T O D A Y! 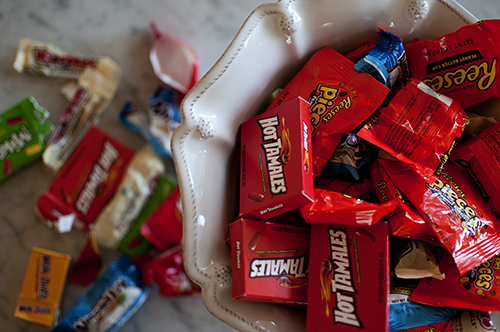 After a quick Google search I found several great articles on donating your Halloween candy... I have included links to them below (just in case you are feeling the same way I am! ).